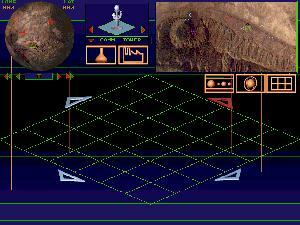 The hands-down favorite game seen at the 1994 Winter CES combined solid simulation-type strategy and 3D Studio rendered graphics, and gave author Bruce Balfour (author of Wasteland and Dagger of Amon-Ra) an opportunity to draw upon his extensive experience with NASA. 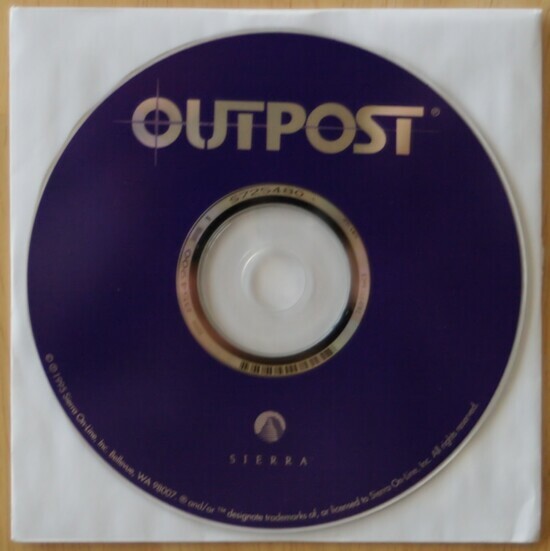 The result was Outpost. In the year 2045, NASA detects an asteroid headed for Earth and the resulting impact will eliminate life as we know it. An attempt to divert the comet with a nuclear weapon causes it to split; both pieces are expected to collide with Earth. Since the impact is inevitable, mankind's sole option is to save a representative sample of Earth's life in a fusion-powered starship. Since the governments don't have the flexibility to formulate and execute such a plan, a international conglomerate commits to building the ark and places you in complete control of the project. You are provided a skeleton ship which is assembled and outfitted during the first phase of Outpost. Since the payload of this 43 million ton ship is only 100,000 tons you must be conscious of every component, probe, factory, lander,life support system and necessity required for our colonists to survive in the harsh climate of the new colony. You are limited by both weight and cost of each item, and you are limited to a maximum of 200 colonists. Since you really need to know where you going, you have the option to launch several types of interstellar probes to help you make an informed guess about which planet should be your new home. Once you arrive, you enter a stable orbit around your new home and commence launching probes in order to gather data. This will help you to make an intelligent decision on where to land your initial seed factory. A seed factory is an automated, self replicating unit which sends out robots to explore and clear terrain. It also provides a temporary haven for the landing colonist. You then land your human cargo and equipment. The third phase is where the user interface really shines; a three dimensional map with several different icons allows you to move both above and below the surface, select which kind of structure you wish to construct or request help from your Artificial Intelligence (your AI). Structures start with Agricultural Domes and Residental Units, eventually leading to Space Station and Satellites. The structures all have unique characteristics, changing morale, productivity and providing specific services to the colony. Adding to your difficulties is the possibility of meteor impact, earthquakes and alien virus. And if that isn't enough, a rebel leader gathers up to half your resources and colonists. Balfour uses the research to full advantage, introducing cutting edge technology, still in the concept stage, in full-production as hard technology to use as your tools for survival. Hibernation, nanotechnology, robot remote manipulation and interstellar travel are representative of these new sciences. 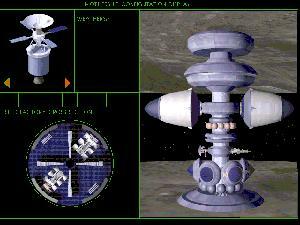 The SVGA FLC animations run whenever a significant event occurs, such as a probe launch or a natural disaster. The initial introductory animation takes over 10 minutes to run, the first game to employ such a huge multimedia . Considering the richness of the superb animations, the simulation ran remarkably well. The musical score was excellent, which is on par with Sierra's other software. The hypertext voice help was terrific, I've never heard anything even remotely like this in 1994. Even the packaging was excellent with a well written manual. Outpost is a difficult game to master with an ambitious scope. The number of resources you must manage boggles the mind, but a slip at turn forty can doom your colony at turn three hundred. So rather than having a computer opponent, it would seem that the simulation itself is trying to kill you. It is only through dedication and nearly-photographic memory that you will save the human race!